With the shots fired at Fort Sumter on April 12, 1861, the War Between the States officially began 150 years ago. From the start of the Civil War, the Union recognized the advantages offered by railroads and was quick to employ the “iron horses” for the first time in a military campaign. 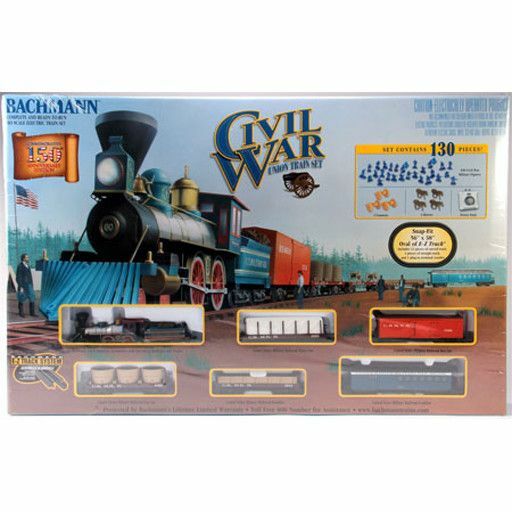 With the formation of the United States Military Railroads (USMRR), the Federals gained the authority to take possession of whatever equipment was necessary to operate strategic rail lines in support of the Union Army. Backed by the government and managed by the leading railroad men of the time, a well-equipped USMRR train was commonly powered by a 4-4-0 locomotive pulling a box car, flat car, water tank car, and gondola. A trailing combine often served as a guard car to ward off Confederate attacks.